The Prahova Valley is a beautfiul place in Romania and it's worth visiting it regardless if you're a train fan or not. However, if you are one, you'll find some nice surprises in almost every train station along the valley. 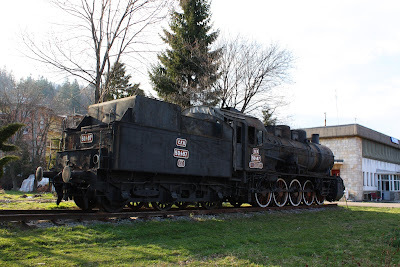 I already wrote about the CFR 230.039 steam locomotive at the Sinaia train station and about the permanent miniature railroad exhibition hosted there. Now it's time to look at the train station of Predeal, where another real steam locomotive is preserved, and not just any steamer, but one that was famous in its own time and is an important part of the history of the Romanian State Railways. 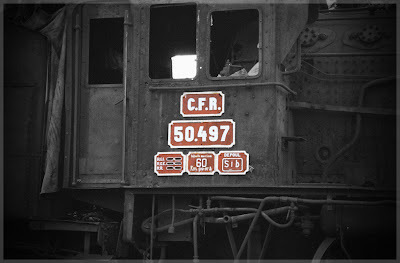 CFR 50.497 belongs to the 50.100 series of CFR locomotives, not to the 50.000 series, as one may suspect. There are considerable differences between the two types. 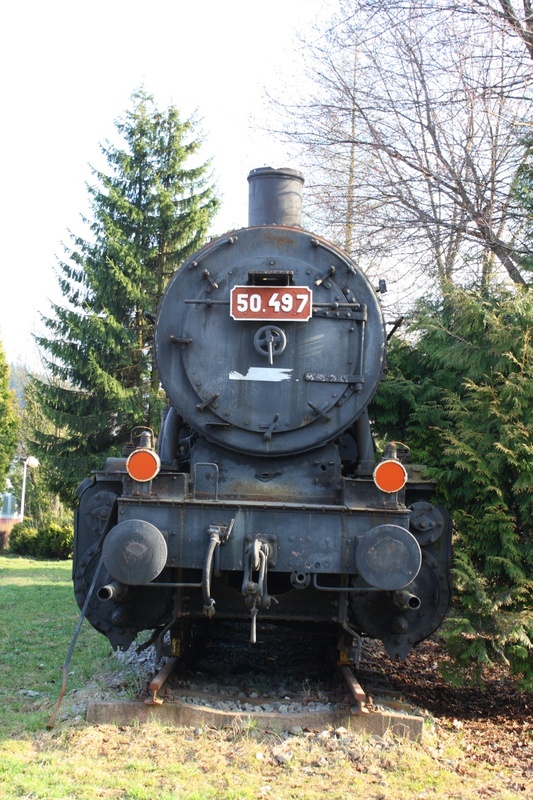 The 50.100 series is one that had an important role in the Romanian railway transportation in the 20th century. In the first part of the century Romania's railway system was expanding and there was an increasing need for powerful locomotives. The CFR also tried to standardize the locomotives and their parts as much as possible in order to minimize the problems induced by the fact that their earlier locomotives came from many different builders and many different countries and they were difficult to manage. The locomotives of the 40.000 series were an important step towards achieving these two goals (powerful engines that could handle the increasing traffic volume and that were also standard types), but there was one important problem with them: they were very heavy (17.2 t axle load) and the country's lines were in a bad shape, they could not handle the wight. So CFR looked for an alternative solution of locomotives that could handle all kinds of traffic (passenger, freight, mixed) and were light enough for the existing railway system. So was the 50.100 series born. At first these locos were imported from foreign builders. 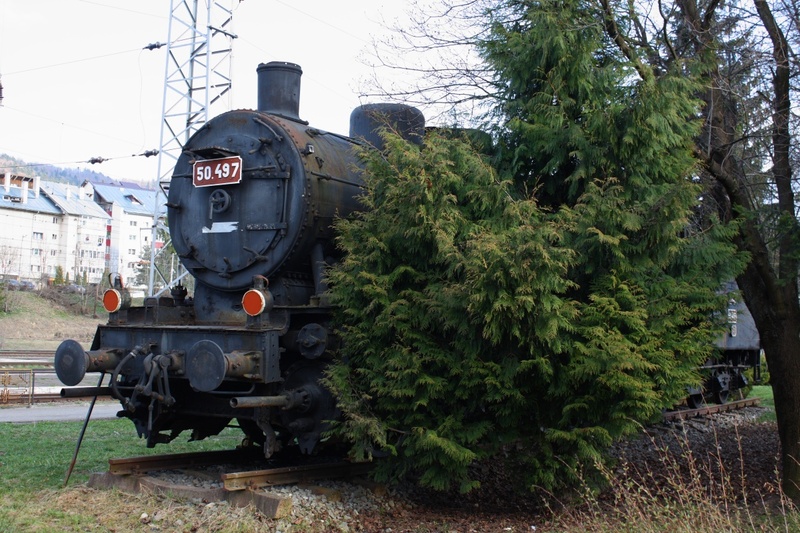 The first order was placed in 1920 and the German locomotive factories delivered a total of 804 such machines. 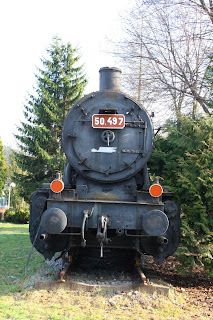 In fact the locomotives of type 50.100 are a copy of the Prussian G 10 design. The G 10 had been a successful type of steam locomotive used for cargo hauling for quite a few years before the first CFR 50.100 loco has started running. It proved to be a reliable machine with good performance achievements and it was also lightweight, that is why CFR decided to adept the design, but the 50.100 locomotives were a bit different from the G 10 engines. 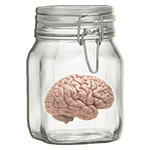 Obviously the parts were standardized and they were fitted with the famous crude oil burning system developed by George Cosmovici. With a top speed of 60 km/h, the 50.100 series was considered a general purpose design and these engines were used for pulling just about any kind of standard gauge trains. 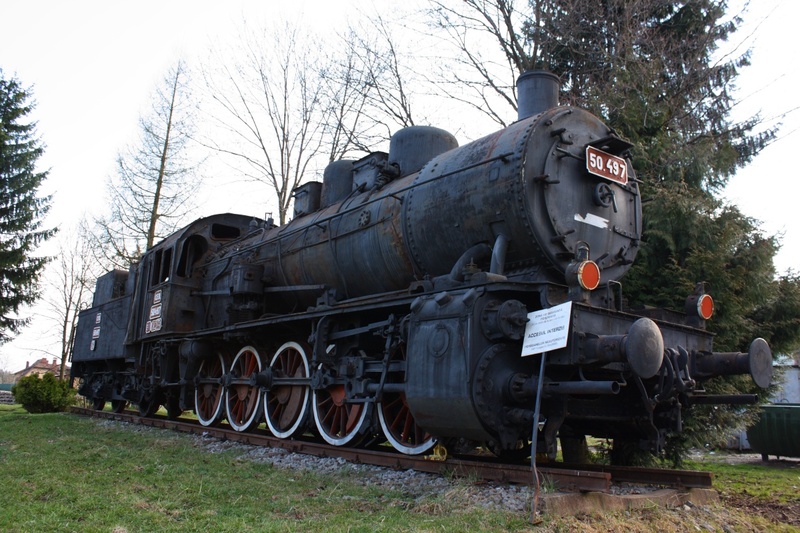 At the beginning of the 20th century Romania's rolling stock came mostly from foreign builders. But CFR wished to break free from this dependence and in 1927 a law was brought which encouraged the country's own locomotive factories to build their own machines for CFR. So, beginning with this year, CFR bought the Borsig license for the G 10 and the two main Romanian railway manufacturers, Uzinele Domeniilor Resita and Uzinele Nicolae Malaxa Bucuresti started building the engines. 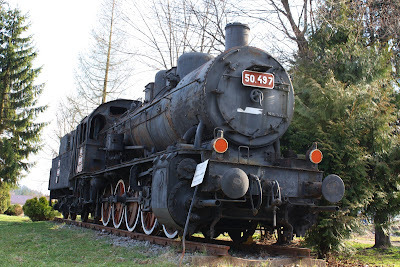 Actually, the first 50.100 steam locomotive, the 50.243, was built a little bit earlier at Resita, it was delivered on the 14th September 1926 and it was named "Regele Ferdinand" after the Romanian king. The first engine of the same type left the Malaxa factories two years later, on the 28th of December 1928. 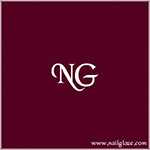 It's number was 50.340 and it too was named after a Romanian king, "Regele Mihai". In 1936 an improved subtype was ordered, with a top sepped of 70 km/h, but due to the soon arriving war, only 10 were actually built, numbered 50.1001 to 50.1010.